On year-on-year basis, the LSM grew by 4.82pc in June 2013 compared to June 2012. The Quantum Index Numbers (QIN) of LSM stood at 117.25 points in FY13 against 112.41 points in FY12. Industries monitored by Oil Companies Advisory Committee (OCAC) registered growth of 0.89pc while the indices of ministry of industries grew by 1.77pc and that of the provincial bureaus of statistics (PBoS) by 1.65pc. 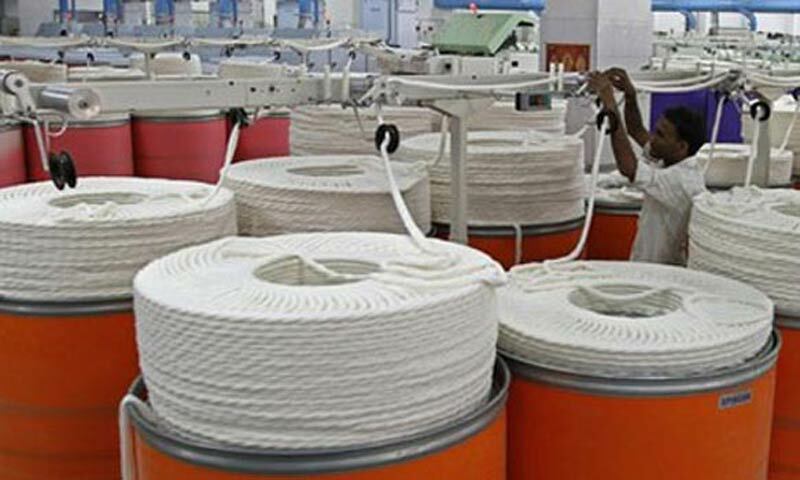 The manufacturing items that witnessed growth during FY13 included textile (1.61pc), food beverages and tobacco (9.30pc), coke and petroleum products (16.18pc), paper and board (18.40pc), rubber products (11.79pc), pharmaceuticals (10.01pc), non-metallic mineral products (5.18pc), iron and steel products (8.68pc) and leather products (0.65pc). The manufacturing items whose production decreased during the period included fertilisers (4.02pc), electronics (5.295pc), wood products (8.41pc), engineering products (15.55pc), automobiles (12.46pc) and chemicals (0.52pc). Meanwhile, the industrial growth during June 2013 increased by 4.82pc compared to June 2012 while it decreased by 2.35pc compared to May 2013.